By the age of 20th, I have started to come across the word 'sunscreen'. It's a thing that I put on everyday when ever I step out of my house., especially we are living in a country with such hot sun. My mother even gross that she will equipped herself with a hat which also cover half of her face, long sleeve gloves and long pants. She does that even in a car. So, when ever you see anyone that looks like what I mentioned above, do walk over and say Hi, because that's my mom. Here's a reference. The one with the cross is how my mom dressed up like. Beside putting on sunscreen, another extra work that we used to do every night will be the skincare routine, the whitening job which reduce the melanin produced on our skin. 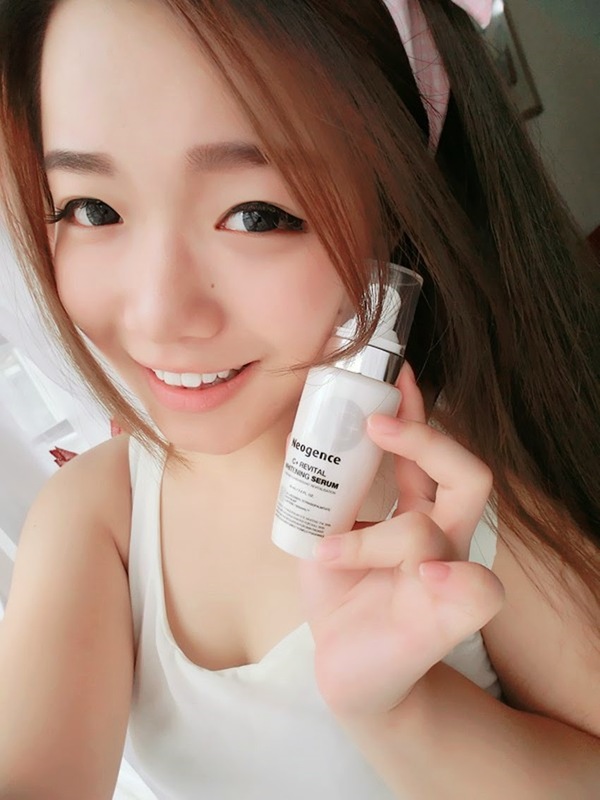 I have been trying Neogene C+ Revital Whitening Serum lately which available at Dermo Science Lab Roadshow at Mid Valley North Court starting 15th Oct - 19th Oct 2014. Neogence 霓淨思, a brand from Taiwan. It comes with a C+ Revital Whitening Serum with the main content of Vitamin C, which known as an effective whitening agent. It comes in milky white cream form, yet not too concentrated. The scent itself is very light, soothing and refreshing which smell like a sweet pomelo. * Available at SaSa outlets even after the roadshow. As named 'Revital', it consists of an active ingredient 'Revitalin' which revitalize our skin, recreate and restore youthful skin. With the slight concentration of caffeine, it boosts our skin metabolism, in order to restore the skin radiant. The main ingredient 3％ Ascorbyl Tetraisopalmitate is good enough to whiten our skin and eliminate melanin from deep, in order to kick away dull skin and reduce the dark spots! The sweet pomelo fragrance comforts both our skin and mind! Keep us away from stressful skin. 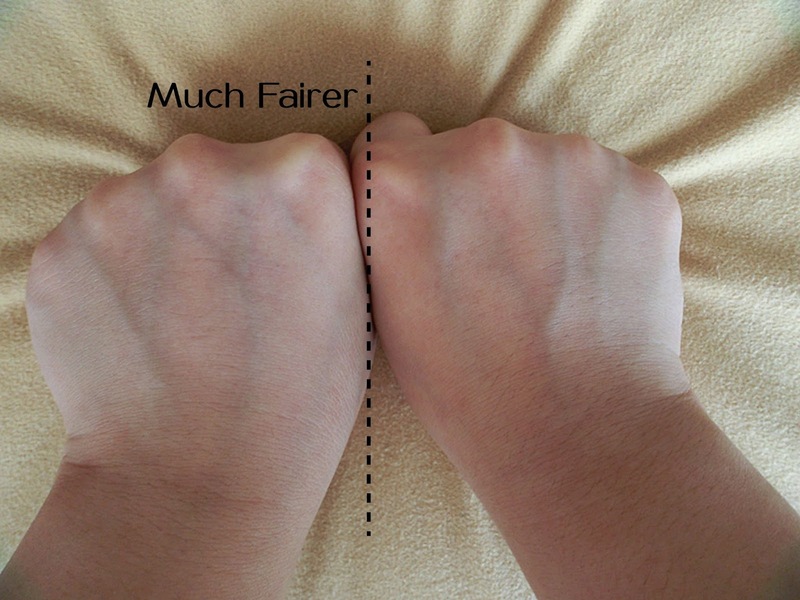 I have applied adequate amount of Neogence whitening serum on my left hand and the result turned out instantly, whereby you can see that my left hand appeared to be fairer and brighter. The serum penetration is great as it takes only second to be fully absorbed by my skin. After applying the serum, my skin doesn't turn out to be oily or any greasiness even after hours. Personally, I love that post-effect which left my face with zero greasiness. 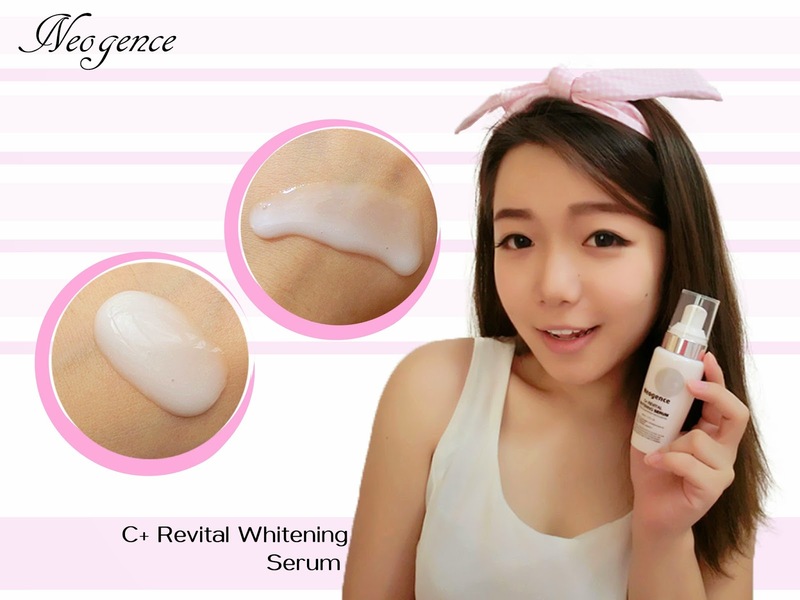 Attached with a video from Youtube, where 柳燕老師 was introducing the Neogence C+ Revital Whitening Serum. For more information, please feel free to visit SaSa Malaysia.